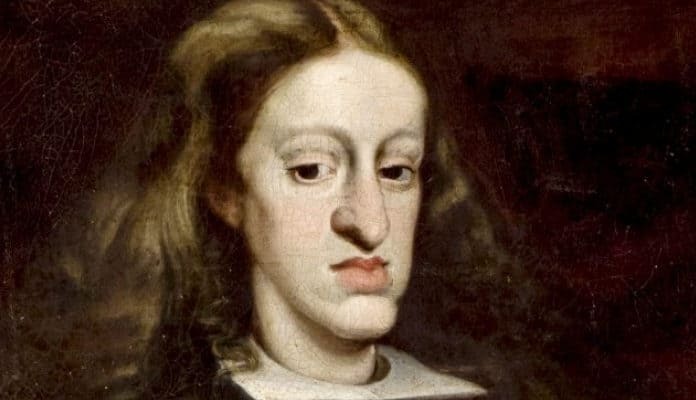 King Charles II of Spain was the last Habsburg ruler of the country. Born into a family whose inbreeding was of epic proportions, he suffered severe deformities that led to him being known as El Hechizado, the bewitched. Read on to learn more about his tragic life and reign. A sketch of King Charles II. Getty Images/ Factinate. The Habsburgs were notorious for marrying cousins, uncles, aunts, whatever, to keep power within their family. Case in point: All of Charles’ great-grandparents were descended from the same parents: Philip I and Joanna of Castile. Basically, their children had all married their cousins, who had all married their cousins (or someone of a close relation). By the time Charles came along, he was more inbred than if his parents had been brother and sister.